As an avid student at RSM, I am currently in the second year of my bachelor, completing my degree in International Business Administration. Prior to my university studies, I took great pride in being Business Manager at the world’s largest school-organised Model United Nations at the International school of the Hague (MUNISH). Responsible for all monetary exchanges and monitored the financial side of the conference, I was able to develop both my leadership and team working competences. I then moved on to coordinating the Needs Assessment committee at the Entrepreneurial Association Enactus here at Erasmus, further developing my disciplinary skills. Being a cross-cultural student, Yemeni by nationality and Lebanese-born, diversity and internationalism are embedded within me. I am both a young but experienced student with the capabilities of rendering my finest team-working and communication skills in practice here at the Erasmus Consultancy Project. 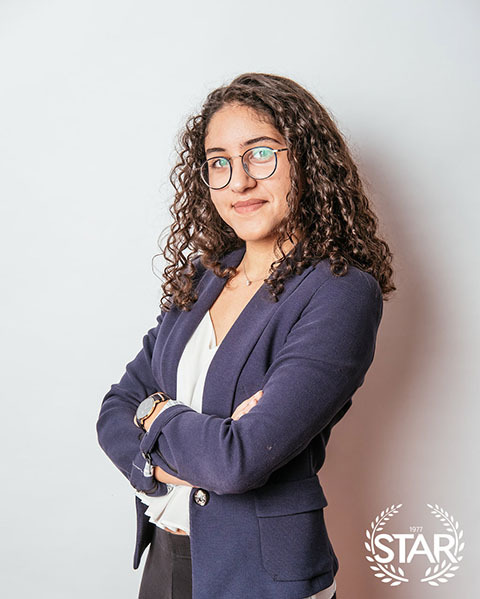 I am delighted to be part of the STAR community and am eager to make a contribution to the growth and sustainability of such an enriching project.